A newly remolded condo in a fantastic location! It is located next to the pool and steps away from access to Lake Hamilton. The condo is in the quiet relaxing Moonlight Cove complex. 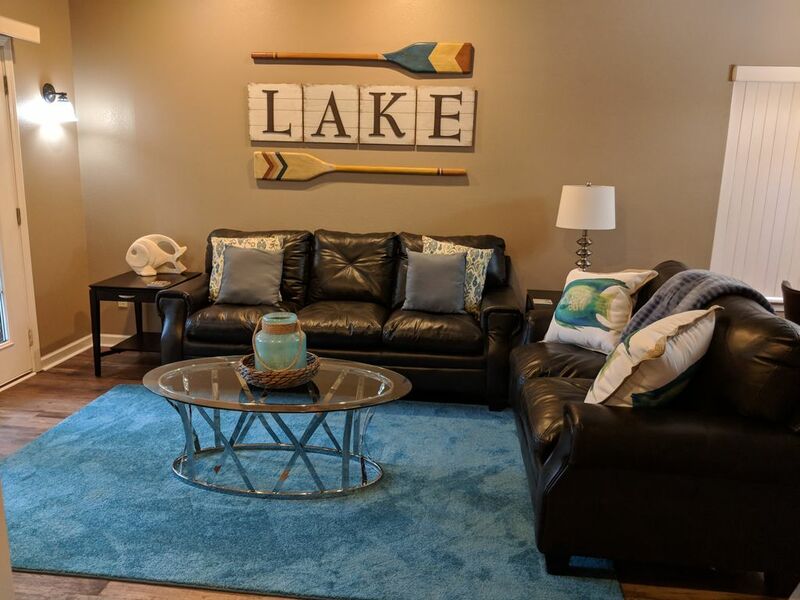 The complex is minutes from Oaklawn Racing and Gaming, approximately 10 min from historical downtown, and less than a mile away from some of the best lake front restaurants in town. This is a perfect condo for a quiet relaxing get away with friends, family, or the significant other. Very nice, clean, and updated. Great, clean and comfortable. Convenient location to downtown. Very comfortable beds, kitchen had every appliances we need. WiFi a big plus. Quiet relaxing neighborhood.